I couldn’t tell you the number of clients I’ve worked with who either didn’t know the credentials for their domain name or hosting account. It’s more than I can count on both hands, and it’s probably more than 50% of the clients I’ve worked with–clients who didn’t yet have a domain or hosting excluded. What’s worse is that some of these clients didn’t even own their domain or hosting account. Many times this happens because a friend, family member, or previous web designer set up these accounts for them. Usually there is no bad intention in these situations, and it’s fairly simple, though time consuming, to sort out. In other cases this creates (at best) a huge headache or (at worst) a battle to regain control of accounts. The bottom line is you need to be able to access your online accounts in case of an emergency or a falling out with your web professional. You need to ensure not only that you have ownership of your online accounts but also that you have the credentials to access them so that you’re not scrambling when you or a hired professional needs them. Plus, I’ve got a fun freebie at the end of the post to help you keep track of it all. 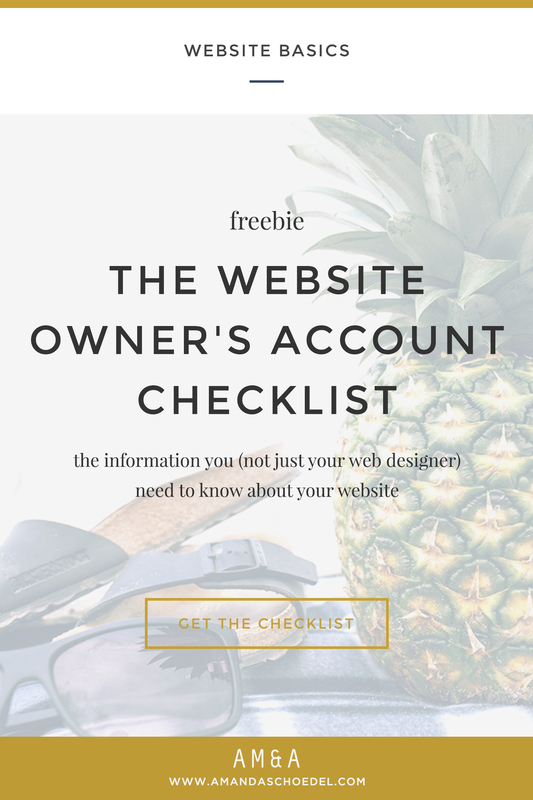 Don’t forget to download The Website Owner’s Account Checklist! Think of your domain name like your car title. If your name isn’t on the paperwork, you’ll have a heck of a time trying to prove ownership when someone else runs off with it. 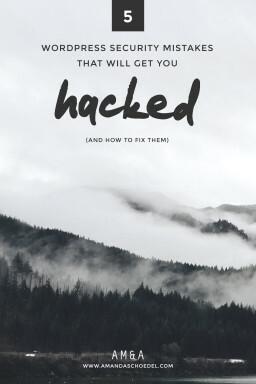 Even the best relationships can fall apart, and an unethical person in control of your domain could completely shut down your website or redirect it elsewhere. I have one client who’s been working for over a year to gain control of a domain, which is controlled by someone who no longer lives in the country. This was a problem when we redesigned their website and wanted change hosts, because I couldn’t access the DNS settings. More than any other account, it is important to make sure that your domain is registered under your own name. If you registered your domain name yourself then you have nothing to worry about. However, if someone else registered a domain for you, make sure it’s registered under your name in a separate account that you have the login for. If it’s not, you need to have them transfer it to you. But honestly, there’s no reason you can’t and shouldn’t register your own domains. It’s so so easy, even for the not-very-tech-savvy. Plus, it saves you the hassle of having to share login details, transfer it between accounts, and/or make sure the correct credit card is on file so it doesn’t expire. Do it yourself. I promise, it’s easier in the long run. Your web host is the place where you store all the files that make up your website. Hosting credentials provide access to your control panel, from which you can manage all aspects of your hosting account. Lots of companies offer domain registration and web hosting, so these two accounts might be one and the same, but not necessarily. Again, make sure your developer sets up your hosting in an account that you control. FTP is a method used to transfer files over the internet. 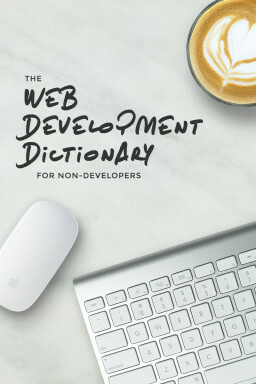 Web developers use FTP to upload files from their computer to your website. It’s also used to do the reverse: to download files from your website to their computer. Your FTP information is associated with your hosting account and is usually provided in the welcome email when you buy a hosting package. If you can’t find this, don’t sweat. FTP accounts are managed through the control panel, so as long as you have your hosting credentials you can access FTP. Still, it’s helpful to have an FTP account that you can share with a web professional. Search engine optimizers, for example, may need access to your site files, but they certainly do not need to access your entire control panel. In these cases it’s safer to limit access to the areas of your website that your web professional needs. If your website uses a Content Management System (CMS), like WordPress, then your website uses a database to store all of the website data. This includes pages, blog posts, menus, and reader comments. Again, databases can be accessed through the control panel, but it’s always good to keep this on hand. If you don’t know this one, you’re in trouble. Your WordPress account is what you use to access the WordPress dashboard and edit your posts and pages. If your website was created by someone else, make sure that your WordPress user is designated as an administrator. There are different levels of roles and capabilities that each WordPress user can have. For example, editors can edit posts and pages, but they can’t edit menus or switch themes. As the website owner, you should have full administrator capabilities. This one is simple. If you own a website, you’re likely linking to your social media accounts. Don’t make your developer have ask for these or, worse, track them down herself. Have this info ready to go. If you’re hiring a search engine optimizer, there’s a good chance they’ll ask for a list of your social media accounts as well. This allows them to claim ownership of your content using Google + and optimize your website for social sharing on other sites. In most cases, you won’t need to share your social media passwords. Keeping track of those is just a bonus to keep yourself organized. Google Analytics is a free and premium web analytics service that tracks and reports traffic to your website. GA allows you to see page visits, unique visitors, traffic sources, user demographics, and more. It’s the best way to get to know your users. 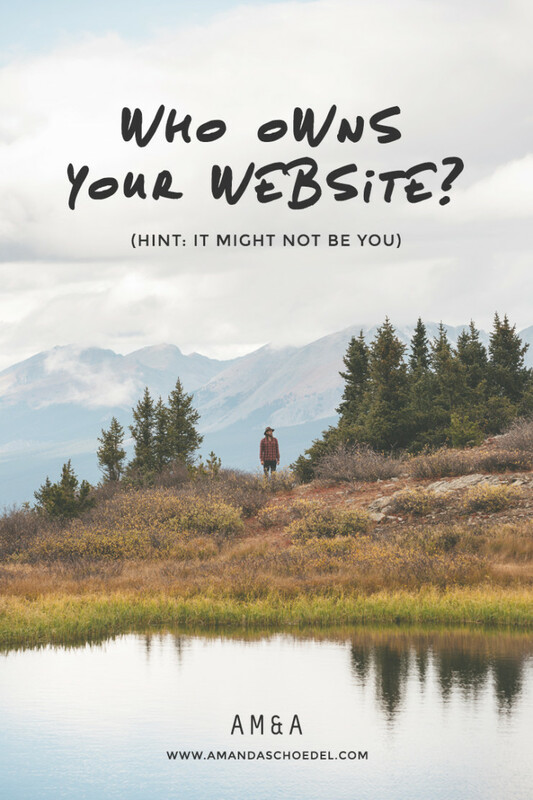 If you own a website, you should be using it. This used to be called Google Webmaster Tools. In fact, I still call it that most of the time. Google Search Console is another free service that helps you monitor your site’s performance in Google Search. You can use Google Search Console to submit sitemaps, view internal and external links to your site, and access full search analytics (including which keyword searches caused you to appear in the results). Don’t let your web designer register your domain. 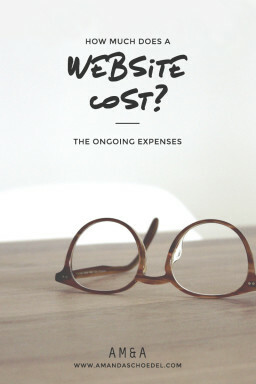 Don’t let your web designer buy your hosting account. Do these things yourself, and then keep track of your login details. As a website owner, there are a lot of accounts to keep track of. That’s why I created the Website Owner’s Account Checklist. Print it, fill it out, and store it somewhere safe. Join the ASC mailing list to download the checklist…FO’ FREE!